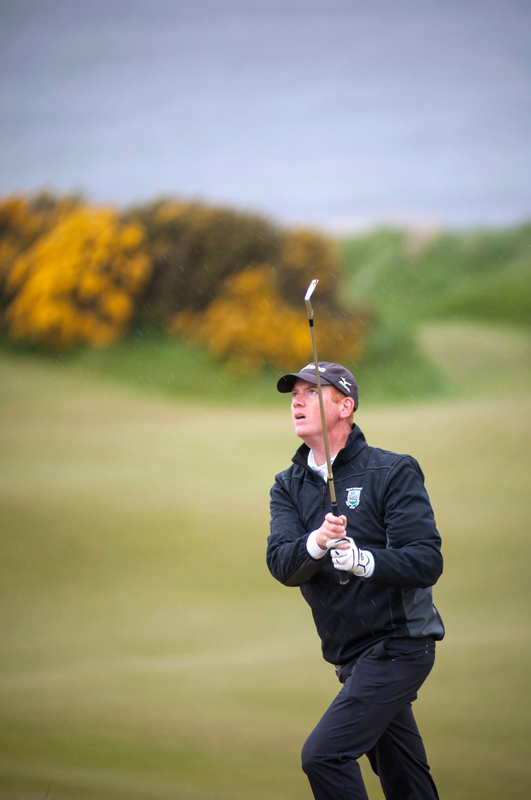 Tom Coyne’s A Course Called Scotland is a heartfelt and humorous celebration of his quest to play golf on every links course in Scotland, the birthplace of the game he loves. For much of his adult life, bestselling author Tom Coyne has been chasing a golf ball around the globe. When he was in college, studying abroad in London, he entered the lottery for a prized tee time in Scotland, grabbing his clubs and jumping the train to St. Andrews as his friends partied in Amsterdam; later, he golfed the entirety of Ireland’s coastline, chased pros through the mini-tours, and attended grueling Qualifying Schools in Australia, Canada, and Latin America. Yet, as he watched the greats compete, he felt something was missing. Then one day a friend suggested he attempt to play every links course in Scotland and qualify for the greatest championship in golf. The result is A Course Called Scotland, “a fast-moving, insightful, often funny travelogue encompassing the width of much of the British Isles” (GolfWeek), including St. Andrews, Turnberry, Dornoch, Prestwick, Troon, and Carnoustie. 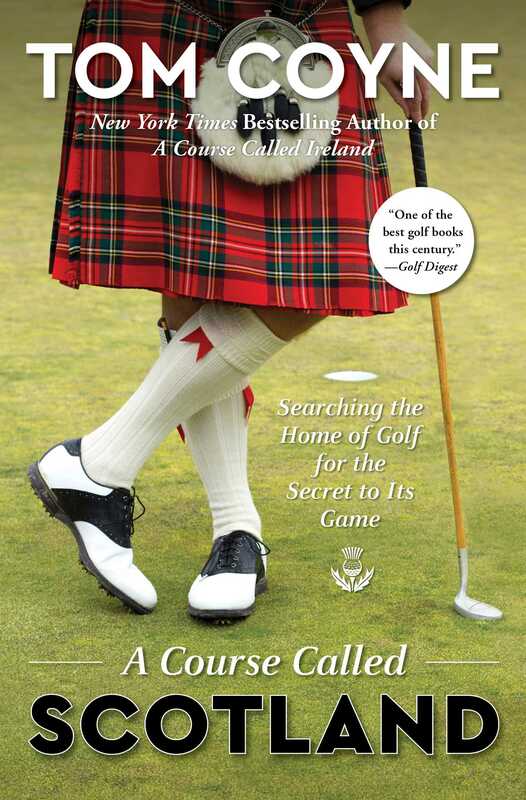 With his signature blend of storytelling, humor, history, and insight, Coyne weaves together his “witty and charming” (Publishers Weekly) journey to more than 100 legendary courses in Scotland with compelling threads of golf history and insights into the contemporary home of golf. As he journeys Scotland in search of the game’s secrets, he discovers new and old friends, rediscovers the peace and power of the sport, and, most importantly, reaffirms the ultimate connection between the game and the soul. It is “a must-read” (Golf Advisor) rollicking love letter to Scotland and golf as no one has attempted it before. His bones arrived by shipwreck. In life he was a fisherman, but he did not die at sea. He persuaded his executioners to tie him to an × of wooden beams and expired after two days lashed to his crooked cross. He considered himself unworthy of being crucified by the same design as his savior. Accounts describe his gratitude for martyrdom. As death approached, he proclaimed, “Receive me hanging from the wood of this sweet cross . . . . Do not permit them to loosen me.” And history records the travels of a Greek monk, St. Rule, to whom God gave instructions to move the martyr’s bones for safekeeping. Rule was to sail with the relics to the edge of the known world and build a church where the faithful would flock, finding health and hope. Storms pushed the monk aground near a tiny fishing village that would be transformed just as Rule’s visions foretold. A cathedral would be built, and a castle and a university, and it would become a place of learning and pilgrimage. A visionary cleric and a divine storm would turn a rocky bit of coastline at the fringe of civilization into a place that, eight centuries later, is still visited by six hundred thousand hopefuls every year. I’m one of them, though my route here was different than most. I designed my own shipwreck of a journey and prayed that my bones would land somewhere near the onetime resting place of St. Andrew. Whether golf owes its origins to bored shepherds searching out diversions in the dunes or to itinerant wool traders who brought a Flemish game to Scotland, the home of golf would probably be a modest village today if a holy mission hadn’t sent an apostle’s remains ashore there. Maybe that’s why the world’s perfect town feels so divinely inspired, as if God wants you to be there. When you stroll the medieval streets of St. Andrews, with its mix of ancient history and college youth, its gentle bustle of golf and restaurants and golf and pubs and golf and museums, you walk with a sense of destination that St. Rule must also have felt. And since he could have simply sent the bones to Constantinople as the great emperor Constantine decreed instead of washing up on a stretch of sublimely golf-suited land, the saint’s mission stands as proof that God is good—and that He’s a golfer, too. I want to believe all of that, just as I want to believe that one morning in the ninth century a Scottish king looked up and saw St. Andrew’s diagonal cross in the sky above—white clouds against a blue sky—and took it as a sign to march outnumbered against the Angles. His vision and victory gave birth to the Scottish flag—white × against a blue backdrop—and is too good a story to not be true. And I want to believe that the patron saint of golfers did actually utter St. Andrews’ town motto as his final words, the Latin phrase now stitched into my putter cover and the only tattoo I might ever get: Dum Spiro Spero. While I breathe, I hope. I’m not sure I actually believe any of that, but I do breathe, and I do hope. And maybe hope will be enough, or maybe it will be too much. When does hope become the dream that becomes a mistake? Do the clouds ever steer you wrong? Is your morning perspective sometimes slanted? What if you walk into battle while the miracles stay home? Dum Spiro Spero, but how many have hoped their way right out of breath? I can’t help but wonder these things as I stare at that blue and white flag stamped onto a dimpled ball at my feet, the plastic gleaming clean from my caddie’s towel, struck three times this morning and still six feet from the hole. In these six feet there are three years, four hundred rounds, thousands of miles, and every dollar at my disposal. There are 107 British links courses played in less than two months. There are thirty-seven pounds of me lost among the dunes, spread over a million-yard walk in search of the secret to golf, and this par putt on hole one just outside of Edinburgh, Scotland, at a qualifying event for the Open Championship at St. Andrews—this meager distance—holds every ounce of it. A putt to prove it meant something, that I was right, that it was okay to think the wind held some providence, that we didn’t crash into the shore by chance—rather, we arrived safely, and found happy destiny waiting for us. Who knows how a golf swing actually begins, how many neurons and synapses and small muscles have to get to go? That wasn’t the mystery I was trying to answer on this odyssey—but maybe it should have been, because as I stare down at a silver putter head beside a white ball, I wonder which one is supposed to move first. Something terrifying and miraculous can happen over meaty par putts in competition: An infinite universe comes to fit neatly within the space of a golf ball. Time spins to a halt, and our bodies become inhabited by an unfamiliar presence. Too often that presence has shaky fingers and a grudge against God—Go in, goddammit. But the myriad rounds played in preparation for this one pay a dividend, because I suddenly feel an improbable movement in my shoulders; my body rocks, the clubhead comes unstuck and bumps the ball, sends it rolling, rolling. I’m not breathing. But I am hoping.